When you put the phrases “Tim Burton” and “Alice In Wonderland” together, certain expectations arise. You’re ready for the odd and twisted. Add 3-D to the mix, and you’re expecting to feel like you’re tripping out without the need for a chemical stimulant. But after Charlie and the Chocolate Factory, did I really expect that? Sadly, no, but I was really hoping for it, anyway with Alice In Wonderland. I own one animated Disney movie. It’s not on DVD. It’s just a measly VHS tape that I plan on updating, eventually. 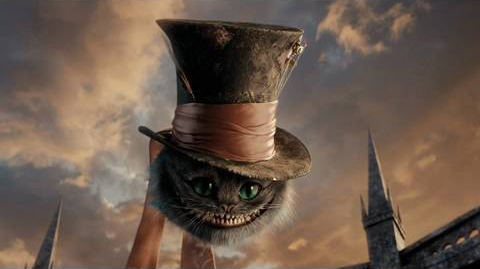 In case you haven’t already guessed, yes, it’s Alice In Wonderland. This move single-handedly gave Disney credibility to early 90’s high-schoolers everywhere. Disney could be really, really cool. All it needed was a different viewpoint: a Pink Floyd’s The Wall type of viewpoint, but packaged for children so as not to offend the parents, or make them suspicious of Disney’s attempt to lure their children into the evil world of color, talking rabbits, and hookahs. Maybe I’m just projecting my idea of what Disney planned with this movie, but how can it be anything more than the greatest acid trip known to man? I’m sorry. Allegedly. The author of the book Alice In Wonderland, Lewis Carroll, also known as to his people as Charles Dodgson, suffered from acute migraines that lead to a sort of dementia now called “Alice in Wonderland Syndrome”. This affliction would make a person’s size, shape, and color perspectives in vision become flawed, cause a sort of hallucination. Of course, Dodgson was also highly regarded in society, so this explanation may just be horse-sh*t, and he was tripping balls. Anyway, all of these delusions about Disney’s Alice is what I had on my mind when I first heard about Tim Burton’s Alice. Another dream I had was that American McGee’s Alice was finally going to make it to the silver screen. For those that aren’t clicking the link, this Alice was a video game about a more twisted Alice, with some really twisted Wonderland characters. Unfortunately, the game seemed to freeze on my computer before I got very far, but the idea of it was brilliant. That movie never surfaced. Instead, we receive a version from Tim Burton. A 3-D version. With Johnny Depp. 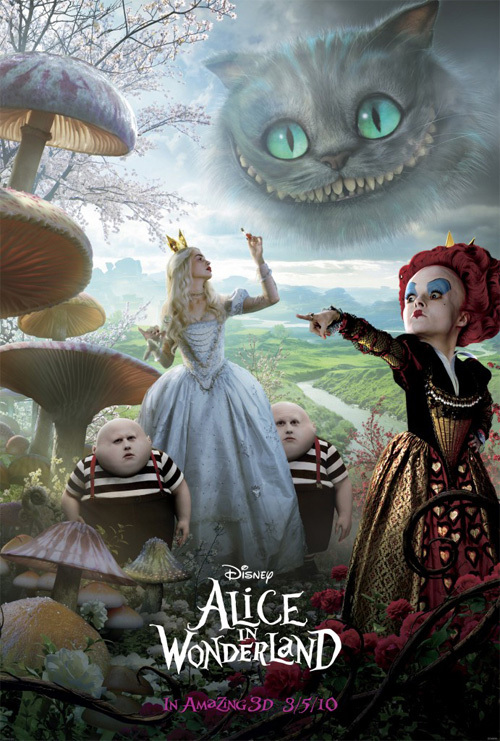 To add, I thought Mia Wasikowska, a virtual unknown, was fantastic as Alice. 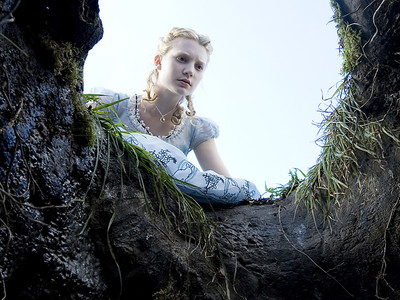 Whether that’s a nod at Burton’s directing abilities is unknown, but her inquisitive word-play didn’t just make this movie humorous, it kept a sliver of what makes Alice In Wonderland so interesting: turning what is known upside down to see it from another angle, no matter how crazy you may seem to others. My biggest problem wasn’t even the film’s fault. This was a movie geared for kids. I knew it was going to be before I entered the theater. I just didn’t want it to be. I wanted it to be an adult’s movie, or at least have enough under the surface to make me feel like, subliminally, it is an adult’s movie. It was not. It was straight-forwardly a children’s adventure movie, with just a bit at the beginning and end for adult inside jokes. Then again, maybe Disney’s version was also JUST a kid’s movie. I just happened to impose my “experimental” ideas upon it. I give the movie 3-1/2 trips down the rabbit hole.